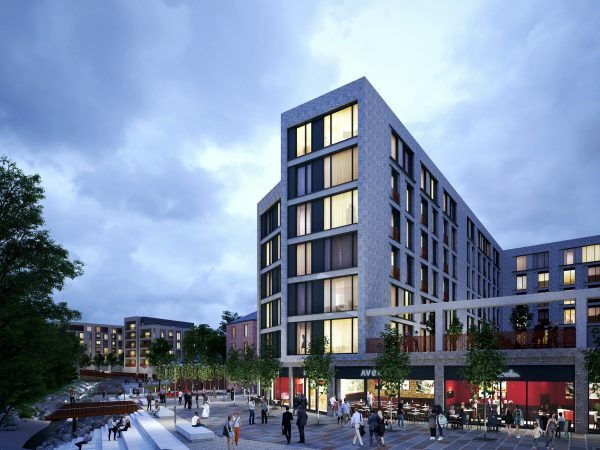 Currently at the pre-application stage, plans for Church Wharf, a new £150m neighbourhood in the heart of Bolton, have been unveiled. 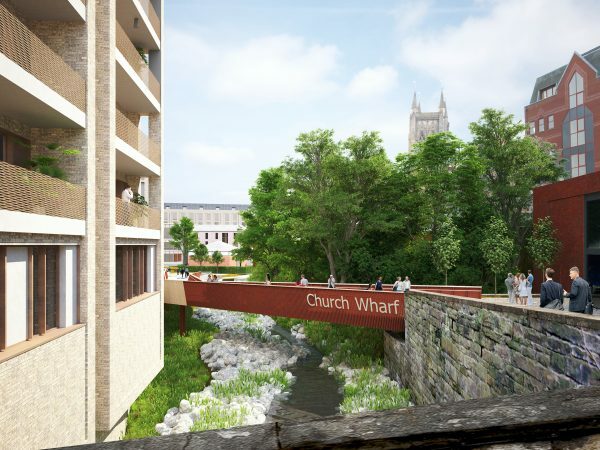 Church Wharf is a residential-led mixed use development including around 320 homes as well as the potential for a hotel, offices, and ground-floor retail and commercial space. 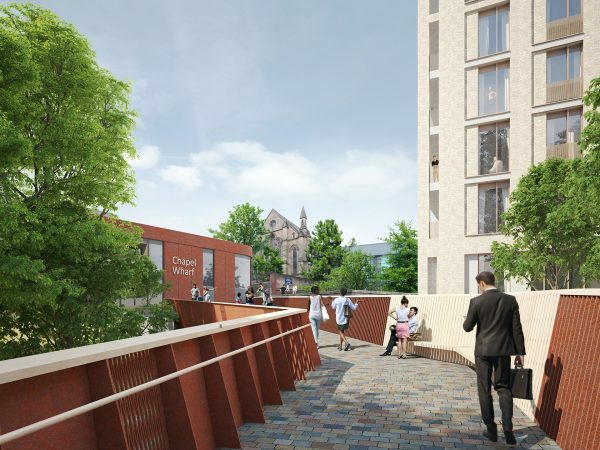 We have worked closely with Muse Developments and AEW Architects to create the landscape proposals which include a river walk, riverside park, Foundry Terrace, pocket park, urban square and extensive tree planting. The landscape concept is Lost & Found; it is focused on rediscovering the river and the rich history of the site whilst creating a human scale for the development and establishing a biodiverse and flood resistant landscape. 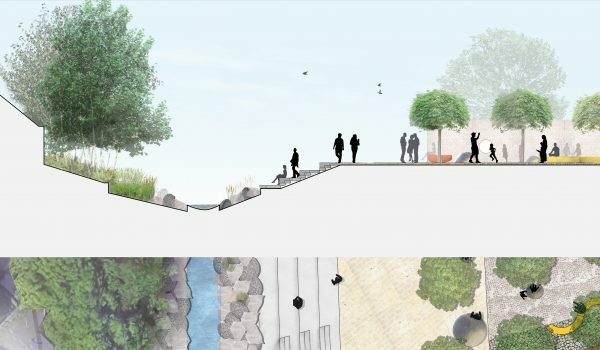 The landscape proposals include the restoration of a modified channelled river and creation of a new distinctive place incorporating a river walk and open terrace with seating steps down to the water. A steel mesh platform brings people closer to the water, with Corten steel linking to the site’s industrial past. An urban beach of boulders leads down to the water alongside generous stone seating steps, providing seating and an opportunity for getting closer to the water’s edge. A pocket park alongside the Foundry Terrace provides an area for play under the shade of a grid of umbrella trees with playful curvy seating, boulders for climbing and other elements of imaginative play. Edging the pocket park is a wall with peep holes through, remade with stone from the original steel foundry in its original position. The public art at Church Wharf will be woven into the landscape throughout the public realm. 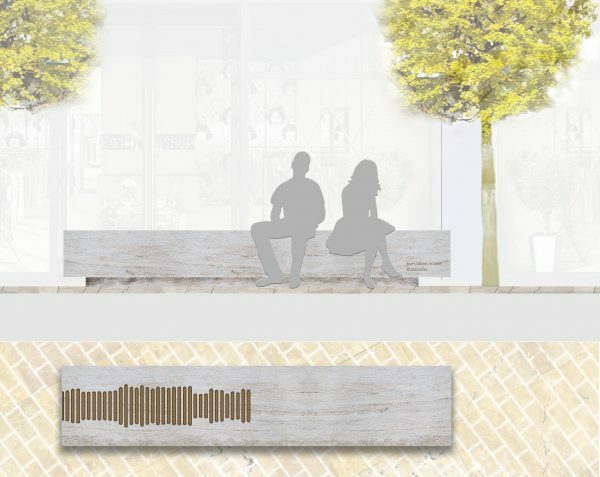 Large granite benches along the Foundry Terrace will tell stories inspired by the history of the site with etched illustrations and inset materials such as brass and waterjet cut stone. Words in bands of paving along the River Walk will relay historic and contemporary phrases, lyrics and poetry. These will highlight local history, stories and people from Bolton’s present and past.